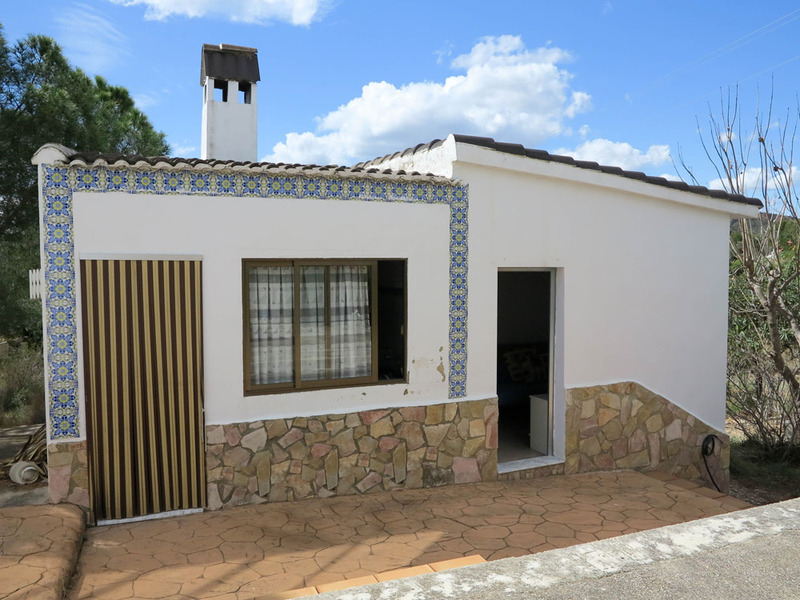 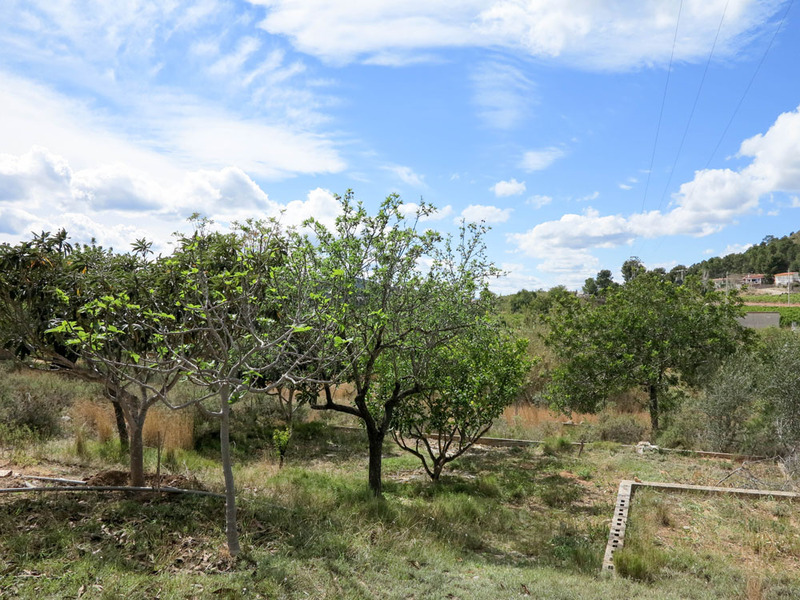 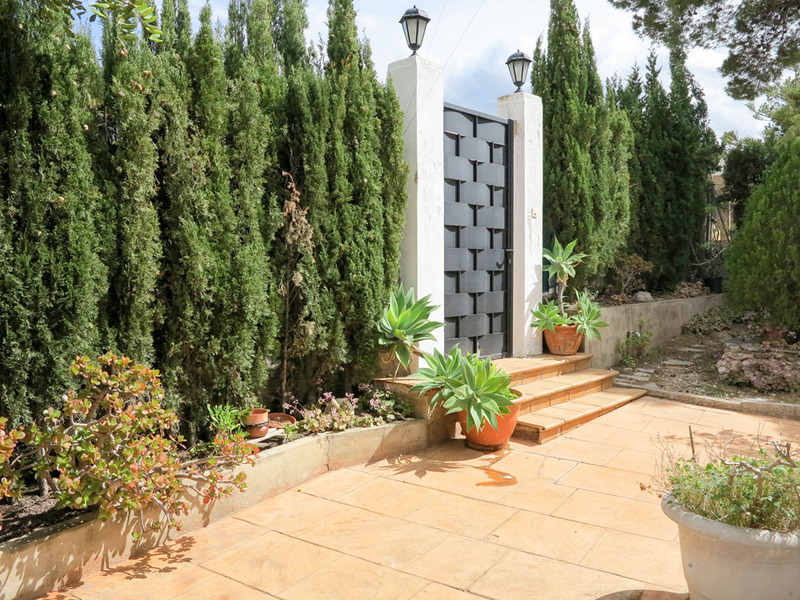 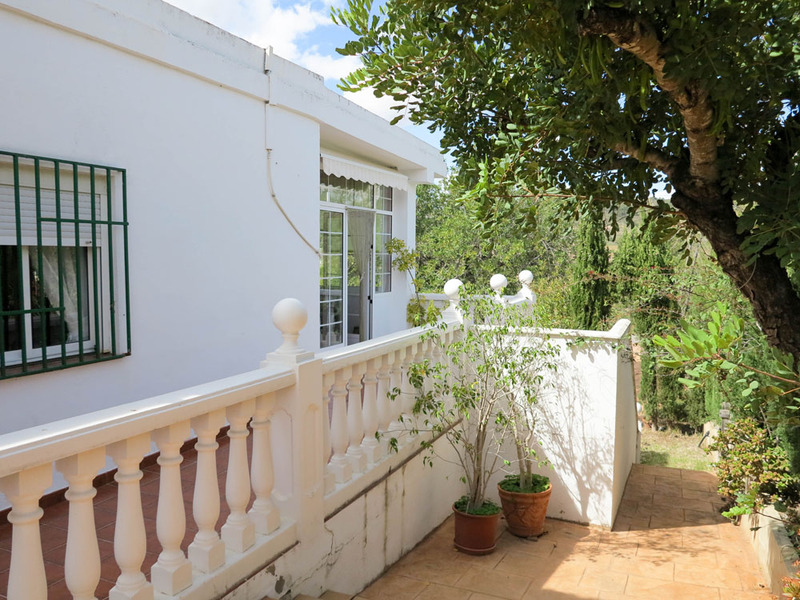 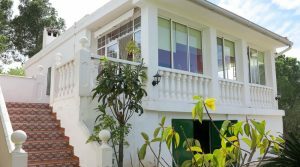 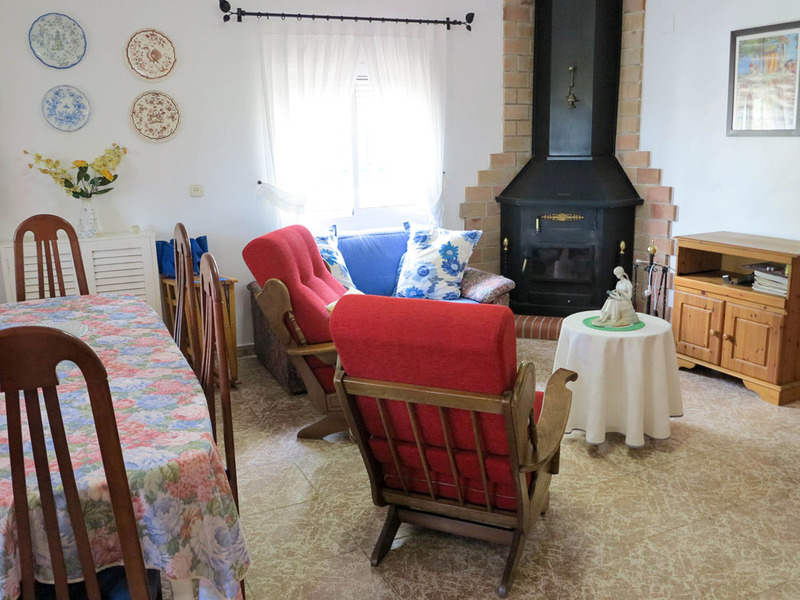 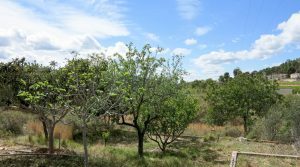 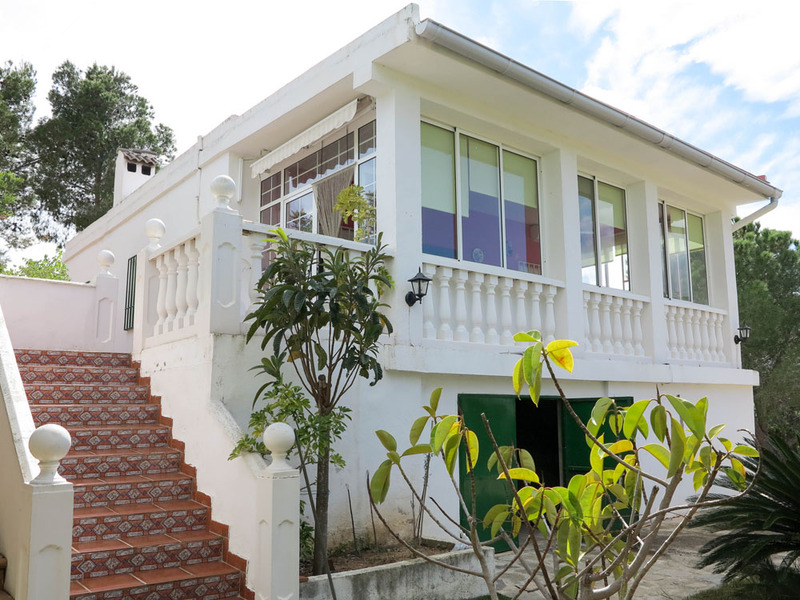 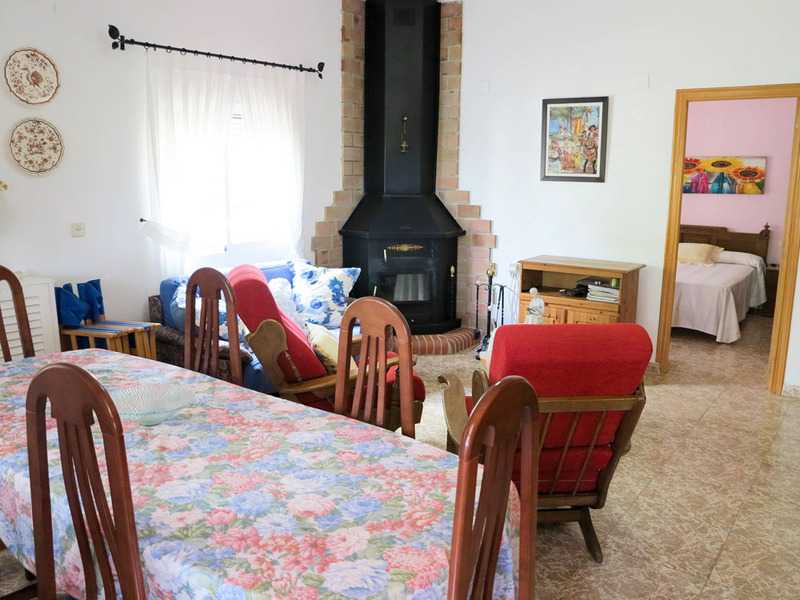 Immaculately presented country property for sale in Valencia, Montroy. 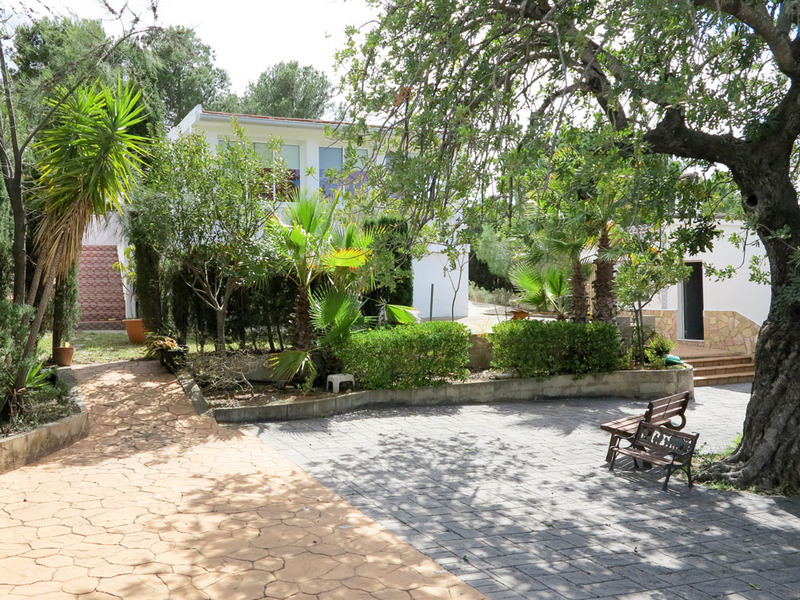 This villa is ideally situated in the desirable area of Palmeral, 3km frpm the town of Montroy. 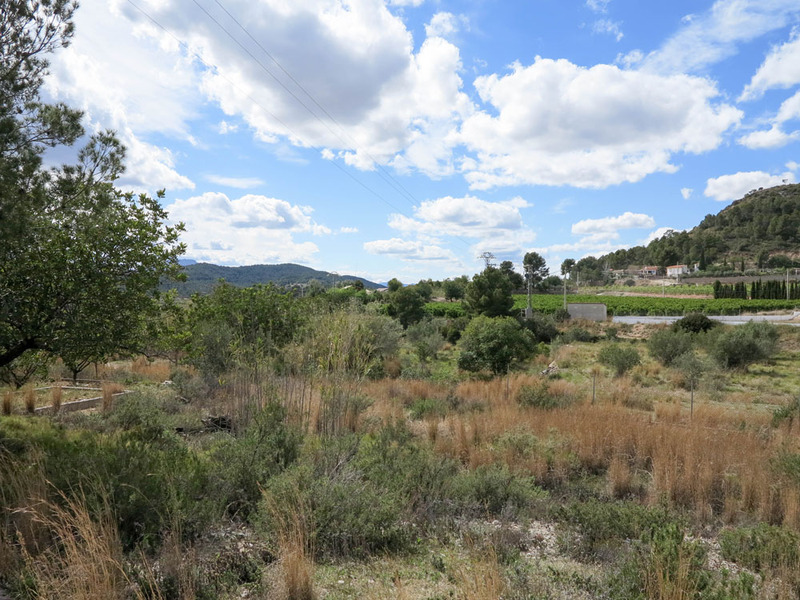 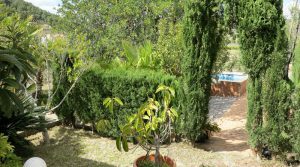 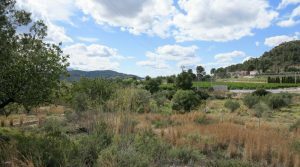 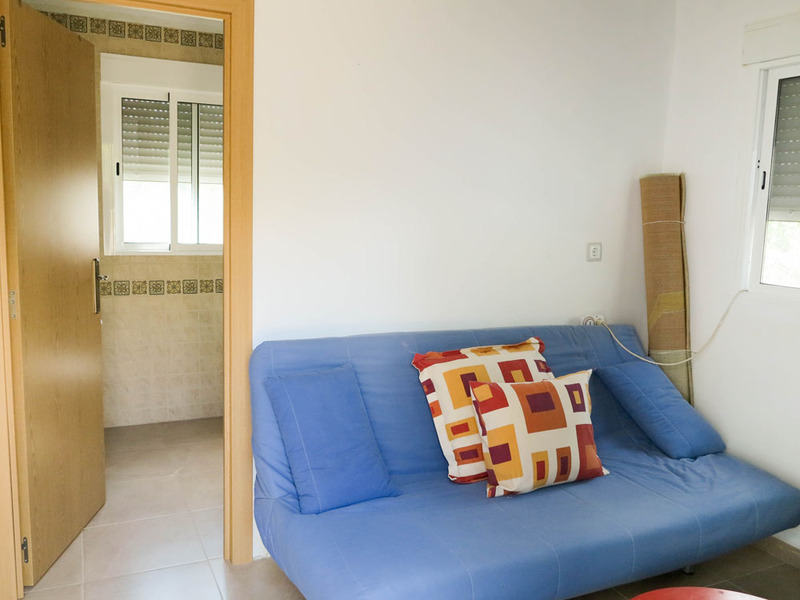 This is a residential area with beautiful views, with direct access to the countryside and the river. 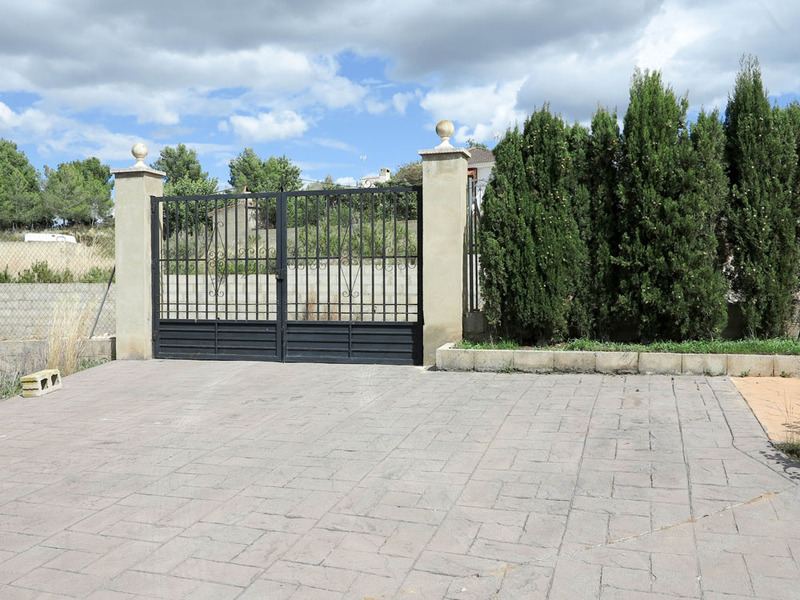 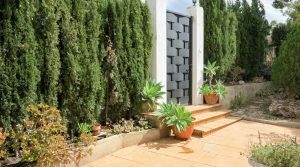 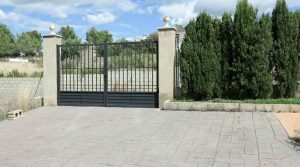 You have double gated entrance opening onto a very nice coloured concrete impression wide driveway leading you to the front of the villa. 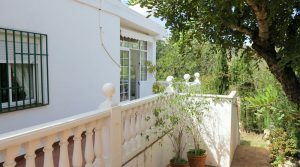 There is also a pedestrian gate entrance at the same level as the villa, opening onto a tiled terrace with balustrades at the entrance. 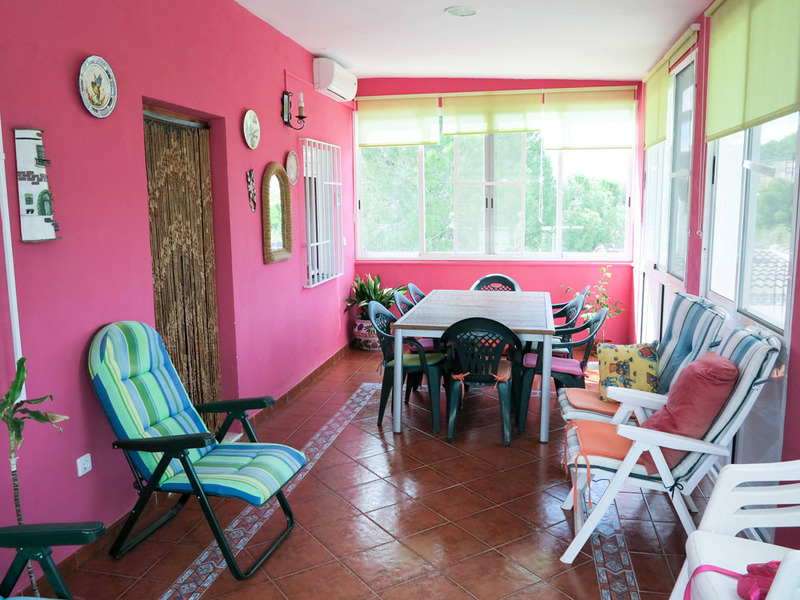 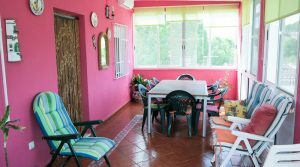 You have a wonderful glazed-in terrace at the entrance of the main villa, which is ideal for dining with friends where you can enjoy the views. 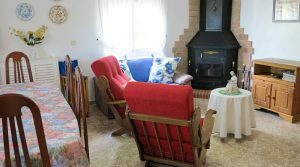 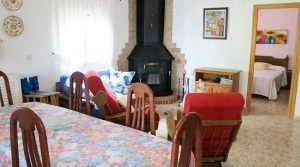 Then, inside you have a good sized lounge complete with a log burning stove and hot/cold air conditioning. 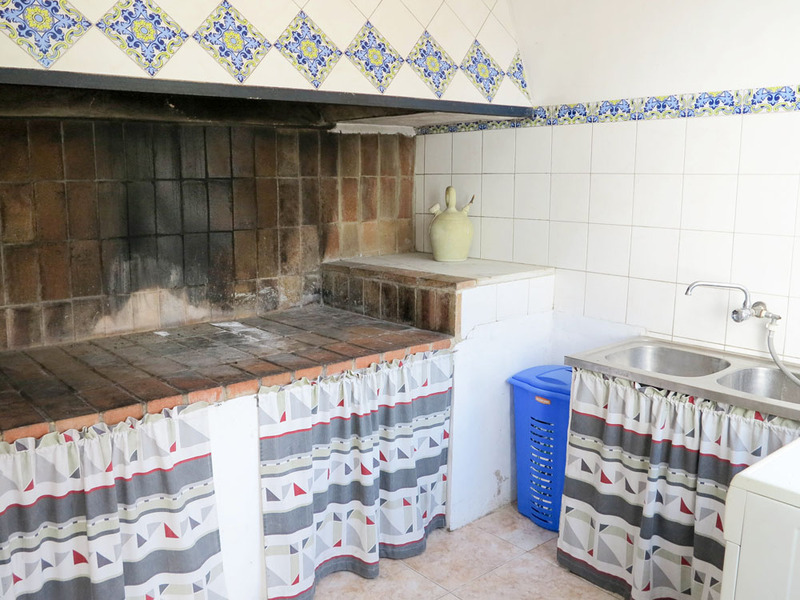 There is a fitted kitchen next to the lounge/dining room. 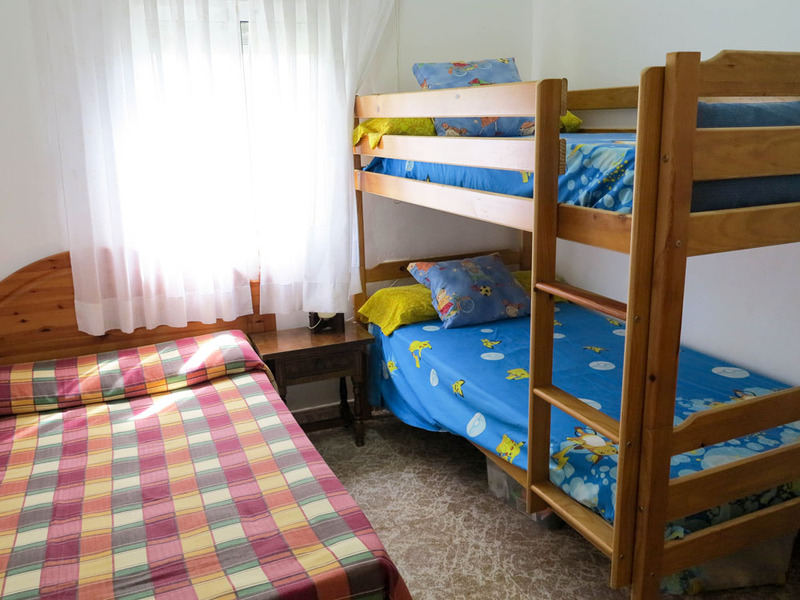 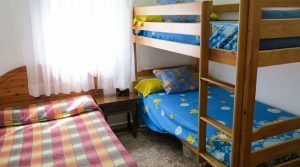 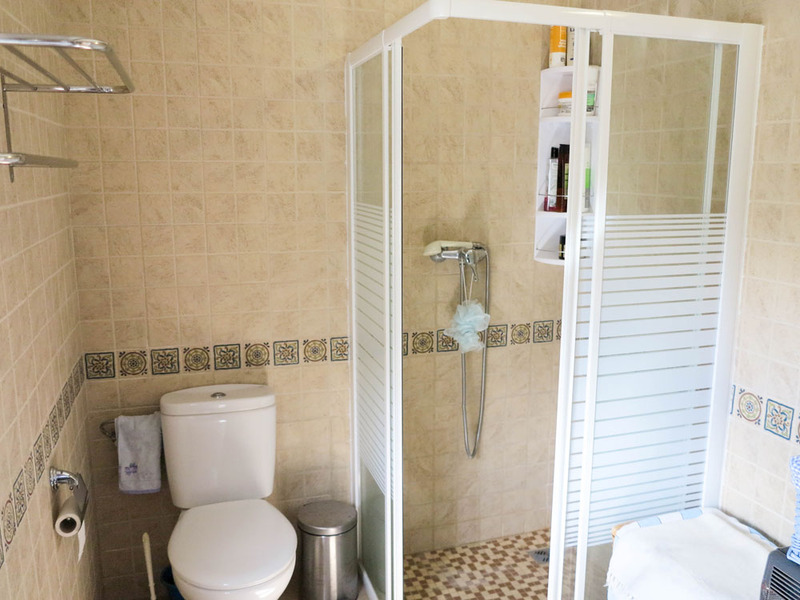 There are have two double bedrooms each with electric radiators, a bathroom complete with a shower and a dry storage room. 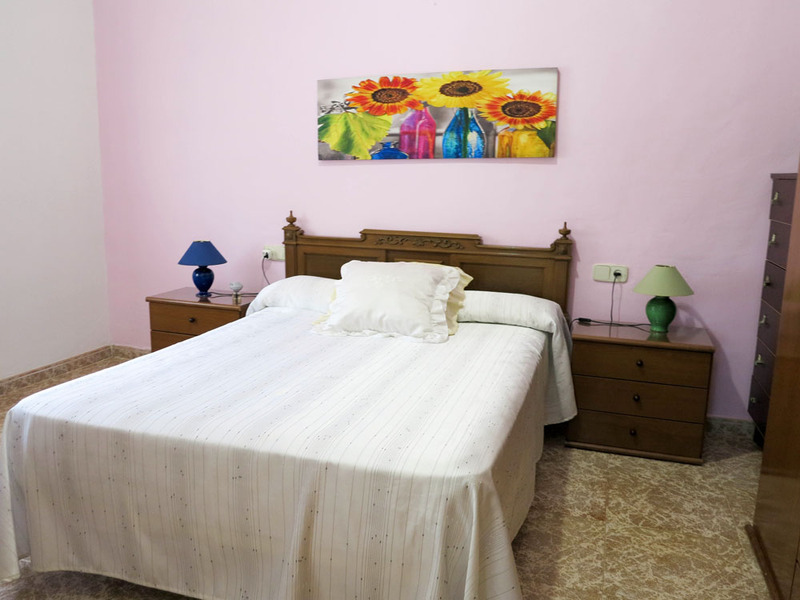 All of the rooms in the main villa have high ceilings, this helps keep the villa cool during the hot summer months, obviously with the air conditioning system you have already installed. 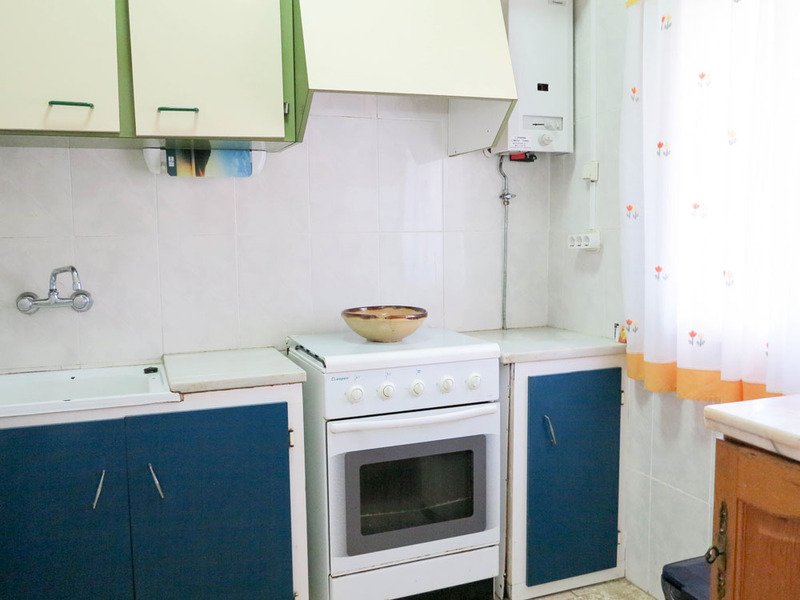 Across from the main villa, you have a separate building where you have the outside kitchen and an apartment. 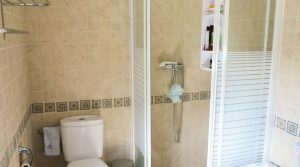 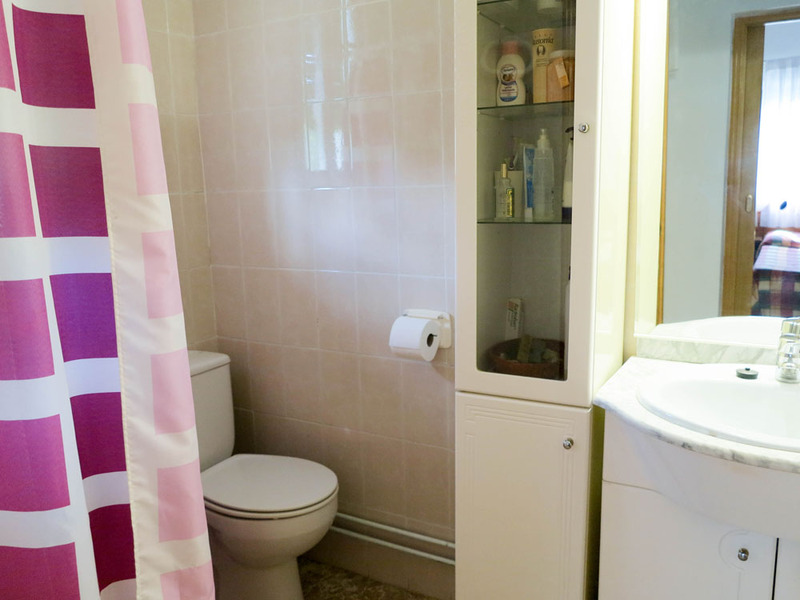 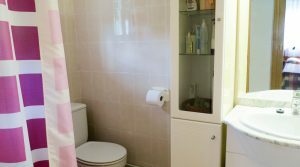 The apartment has a bedroom and a completely refurbished bathroom with a walk-in shower which is very nice and beautifully tiled. 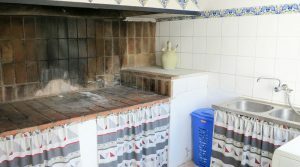 This apartment is adjacent to the outside kitchen. 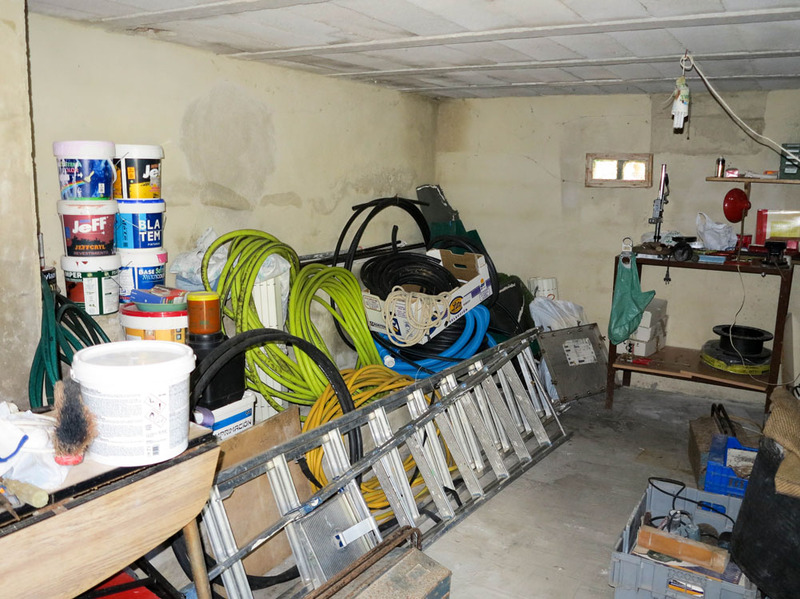 In the underbuild section of the main villa, you have a good size storage room. 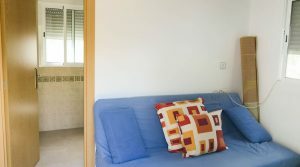 The ceiling height is just under 2 metres, but this makes for a good area for your garden tools and storage of sun beds and other outside items. 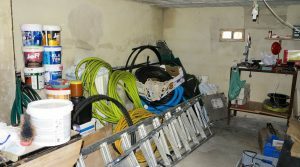 There is also a water deposit tank in the under-build that collects the rainwater from the roof. 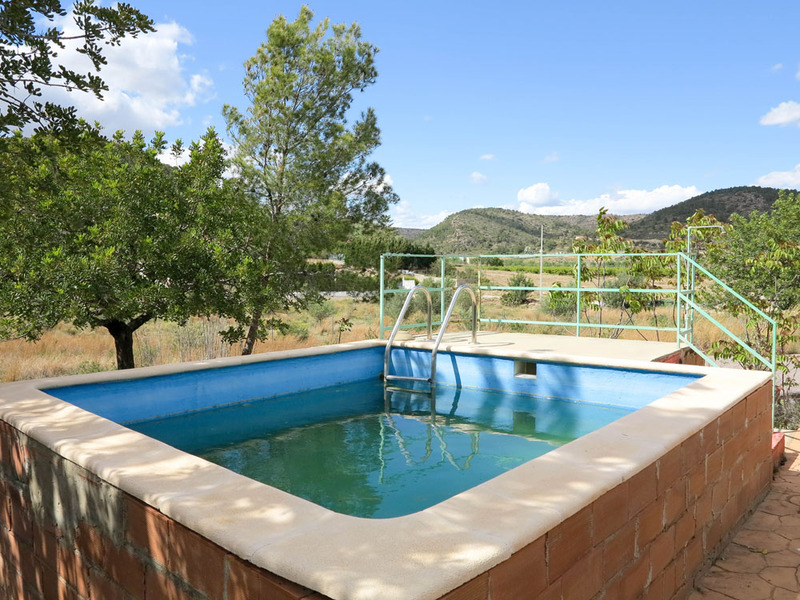 This water deposit tank can be used to irrigate the gardens or as a reserve “free” water tank for the villa if required and with an on-demand pump. 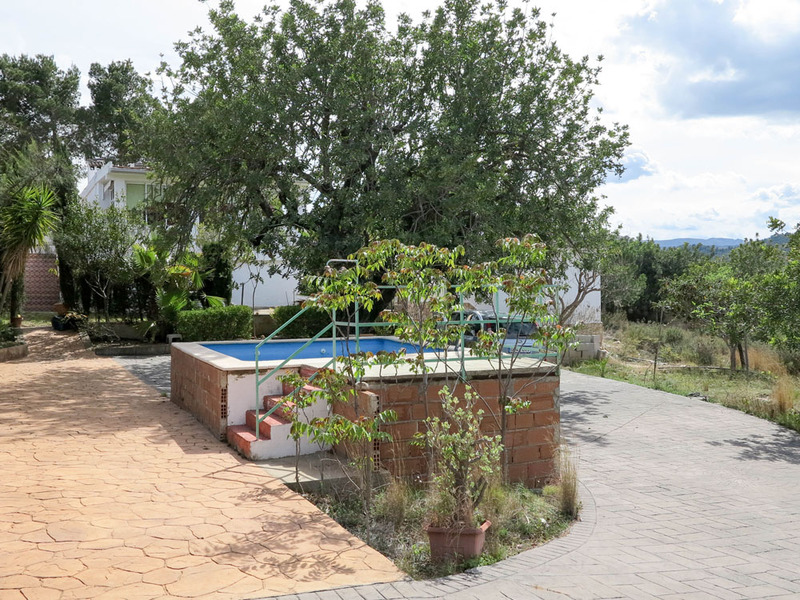 You of course already have mains drinking water connected to the villa supplied from the town. 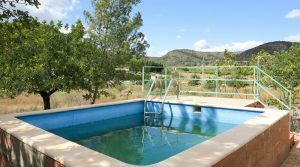 Outside in the gardens, you have a 4m x 3m swimming pool complete with a filter and pump system and poolside terrace. 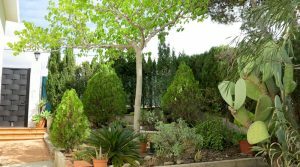 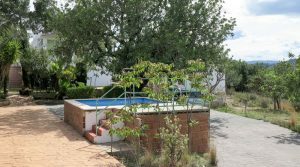 From this swimming pool terrace, you also benefit from those lovely views and within the gardens you have a good selection of fruit trees all connected to an automatic irrigation and sprinkler system. 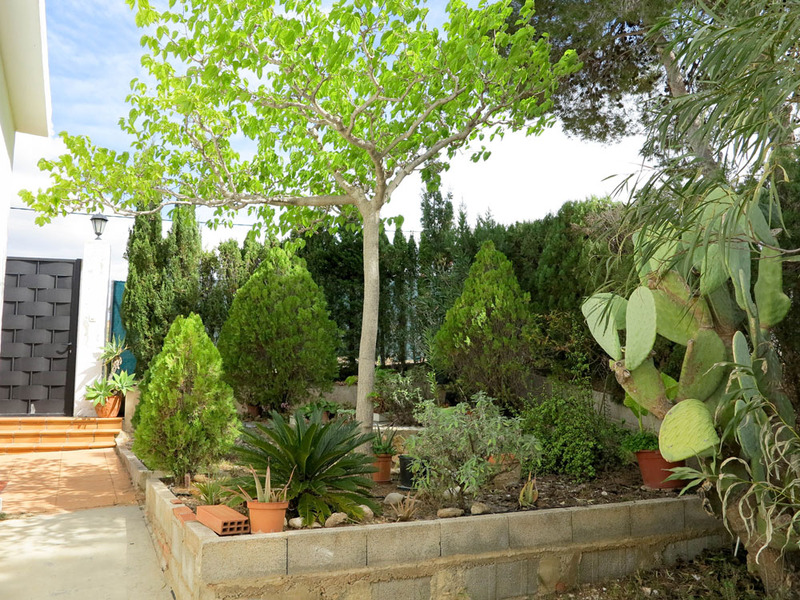 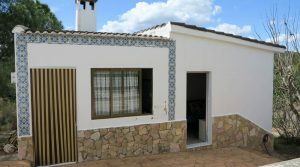 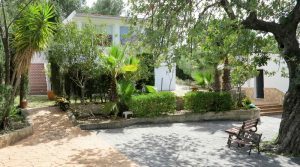 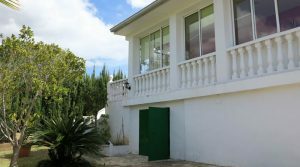 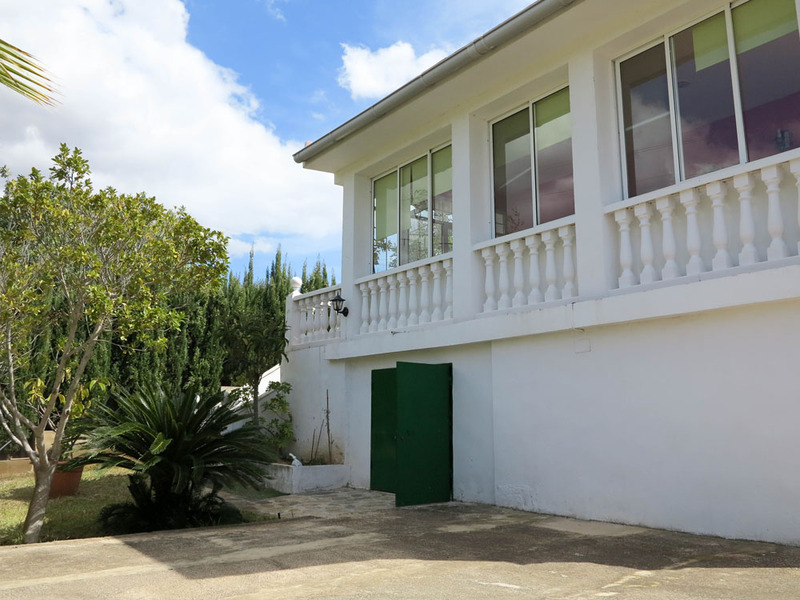 This desirable villa is being sold partly furnished and includes all electro-domestic appliances. 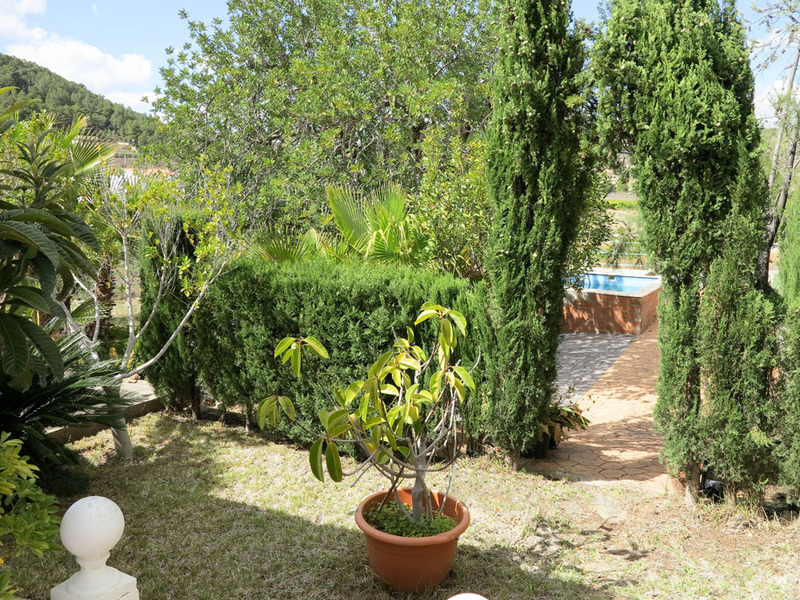 A lovely villa in the perfect location.